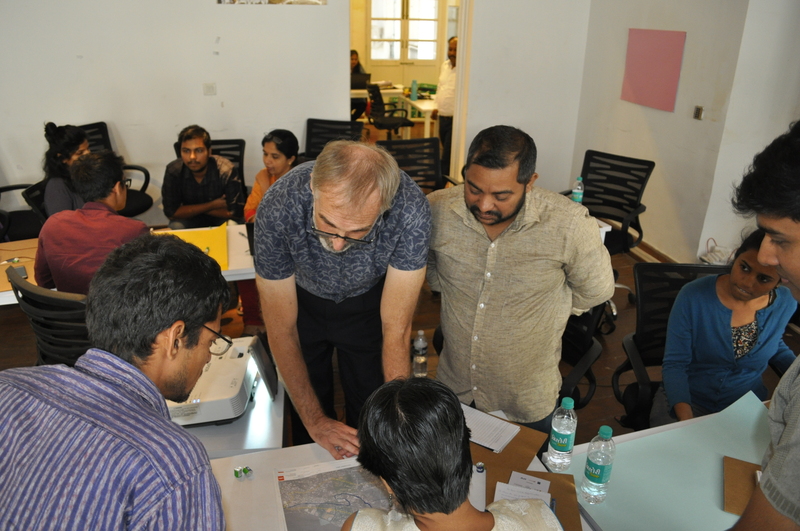 On 31st October, which marked the international #WorldCitiesDay 2018, that highlighted sustainable and resilient cities, CDIA successfully held its first Youth and Community Engagement Workshop regarding the rejuvenation of the St. Inez Creek in Panaji, India. CDIA is engaged with the City of Panaji in a Project Preparation Study (PPS) to help develop a 24/7 water supply network and rejuvenate the St. Inez Creek, which is a 6km-long waterbody that runs through the city. The key objective of the study is to improve the livability of Panaji. Elderly citizens of Panaji still remember swimming in the creek, fishing in its abundant waters as a community food source, and using it for recreational activities, but the current situation could not be farther from that. As a central element of the city, the creek once had social, cultural and heritage significance, and was home to vibrant biodiversity. However, it is now prone to waste-dumping and pollution by residents and businesses located alongside it. During the past two decades, this neglect has led to the creek’s severe deterioration into a highly polluted stream, which poses a serious public health threat to the residents. Despite these concerns, there are exciting opportunities for a community-driven upgrading of the creek and its surroundings. The objective of the St. Inez Creek Rejuvenation Sub-Project is to find nature-based solutions to rehabilitate the creek to its former state, so that people can benefit from it again and see it as a social and natural asset worth preserving. In order to achieve this, CDIA introduced the Youth and Community Engagement Component to this project which was kicked off with a participatory workshop to find out more about the stakeholder’s expectations and perceptions of the most pressing issues. The workshop, facilitated by CDIA Youth Engagement and Innovation Specialist, Lee Lambert, and Communications and Knowledge Management Intern, Oliver Baudler-Voigt, had two key objectives: to first of all raise awareness and understanding of the sub-project; and to explore how youth and community stakeholders could be involved in the rejuvenation process. The different groups and organizations represented by the 24 participants included The Energy & Resources Institute (TERI), the Global Shapers Community Panjim Hub, Enactus-Birla Institute of Technology and Science (BITS) Goa, the Goa College of Architecture & Planning, the Butterfly Conservation of Goa and interested individuals residing around the creek. Besides being from different age groups, the participants were also gender-balanced and represented the diverse demographics of Panaji. 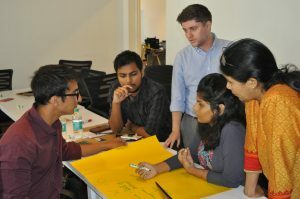 During the workshop, the participants were asked to engage in an exercise to discuss their ideas of a ‘livable city’. This interactive session provided many interesting aspects and insights into the priority issues for different stakeholders, however, it was clear that improving the environmental conditions of the creek were of the utmost concern to most of them. Participants were then introduced to a visioning exercise and asked to define their own vision of how they would like the creek to look like in the future. This session allowed the groups to identify the problems the residents see as most prevalent and come up with an overarching vision to address them. Their visions included various environmental components such as a creek with unpolluted waterbodies, small floating gardens as well as bird and butterfly sanctuaries. In addition, the vision statements shared, reflected a rejuvenated creek which promoted economic competitiveness through tourism development, employment generation and thriving local business, as well as social equity through improved access and natural walkways, recreational facilities and community-led planning and decision-making. 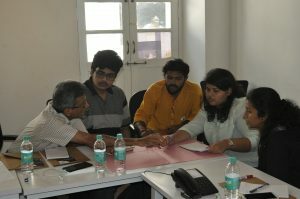 With this vision in mind, the participants then performed a SWOT Analysis, where they identified Strengths, Weaknesses, Opportunities and Threats of the creek. 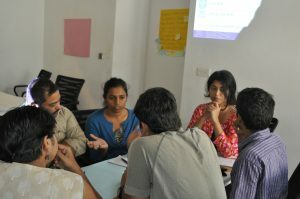 CDIA’s main focus herein was the identification of opportunities where the stakeholders could see themselves involved. The exercise was facilitated in such a fashion to guide the participants to exploring innovative but feasible short-term youth and community engagement activities that may be implemented during the PPS timeline. Ideas of activities mentioned included community clean-ups, youth hackathons, the installation of floating gardens and awareness-raising through community consultations to avoid waste dumping into the creek. An insight here was, that some of those activities are already being undertaken by stakeholder groups, but can be scaled-up to reach a wider audience. This gives CDIA an excellent opportunity to link to these activities and support them further. 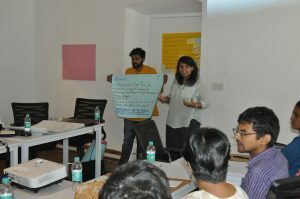 The different workshop exercises revealed that the participants were very much in favor of nature-based solutions to rejuvenate the creek and showed that CDIA’s approach is in line with many community stakeholders and holds the potential to create an outcome that will be accepted by the locals. CDIA’s city counterparts, Imagine Panaji Smart City Development Limited, expressed their support and appreciation for the workshop and look forward to working closely with CDIA to explore the implementation of selected short-term activities. 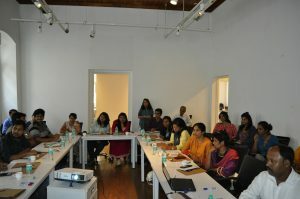 Overall, the workshop was a great success and represented the first of its kind to be undertaken by CDIA. We see this new approach as an important and coordinated effort to mainstream youth engagement within our projects in order to not just see young people as beneficiaries, but as partners and future decision-makers in urban infrastructure development in medium-sized cities in Asia and the Pacific. Utilizing their innovative ideas and keeping their challenges, needs and opportunities in mind, will therefore help to create a more inclusive and sustainable outcome. We are wishing all of our Indian colleagues and partners happy Diwali festivities! Follow our social media channels to keep updated on this PPS and our other exciting projects!